Luxury 3 bedroom property with sea views and overlooking The Giant's Causeway, ideal location for visiting the North Coast attractions. 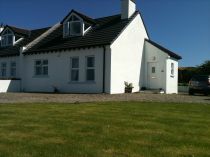 A lovely cottage situated outside Bushmills only a few miles from the Giants Causeway. Ideal for a family holiday with a playpark 500 yards away. It comes with a large garden surrounded by country views. Having spent 20 years living all over Africa this family have given their property a very Moroccan touch with its warm rustic colours and quirky artefacts making it different to anywhere else in the North Coast. 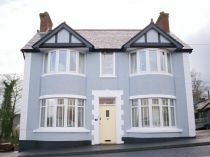 Beautiful four bedroom property in Bushmills town centre with private parking for one car, wifi and a short drive to the Giants Causeway/Carrick-a-rede Ropebridge. This 4 Bedroom Luxury Cottage is a jewel in the crown for anyone looking for a 5 star experience. Overlooking the countryside and the stunning Antrim coastline, only a short walk from the famous Giant's Causeway. Newly built three bedroom house close to the Giants Causeway and Bushmills where there are a variety of shops, cafes and restaurants. 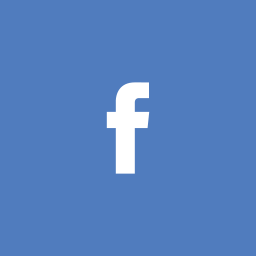 2 bedroom caravan situated outside Bushmills. It is close to the Giants Causeway and many of the other attractions the North Coast has to offer. Modern three bedroom bungalow in Bushmills with wifi, private garden and a short drive to The Giants Causeway and Rope Bridge. 3 Bedroom Property in a very central location in Bushmills. This property is located close to the Bushmills Distillery and only a short drive to The Giant's Causeway. Decorated to a lovely standard and ideal family holiday home. 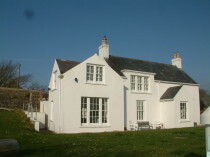 Beautiful three bedroom cottage, which has a 4 Star Rating through the N.Ireland Tourist Board. The property is only one mile from The Giant's Causeway & easy driving distance to Bushmills, Portstewart and Ballycastle. 2 Bedroom Cottage very close to the Giant's Causeway with stunning views of both sea and country side. Eco Friendly 3 bedroom Apartment, Bushmills. These Eco Friendly Holiday Homes are ideally located in the centre of Bushmills. 2 bedroom detached home recently refurbished to a high standard. Located in Bushmills Town Centre and only a short drive to The Giants Causeway and Rope Bridge. Pet friendly 3 bedroom Cottage on the outskirts of Bushmills with enlosed garden and Wifi. This quaint cottage offers a great base for exploring the Causeway Coast with Ballintoy Harbour and Giants Causeway only a five minute drive away. Cluster of 8 Cottages only 1 mile from The Giant's Causeway. One of the cottages is wheelchair adapted. This brand new, delightful property is an end of terrace 3 bedroom house with extraordinary views of the River Bush and Millennium Park. It is within 2 mins walk of Bushmills village, a perfect central location to explore the stunning sights. This 4 bedroom luxury property provides all modern conveniences whilst maintaining its Irish cottage vibe. 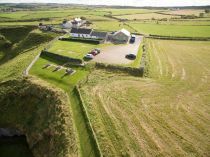 It is a short walk from the Giant’s Causeway and has stunning views of the Antrim coastline and countryside. Eco Friendly Townhouse 1, Bushmills. Located on the North Coast of Northern Ireland, this superb property sleeps up to eight people and is available for self-catering holidays throughout the year. Located within easy walking distance of the Giant's Causeway. A beautiful and unique 2 bedroom cabin situated outside Bushmills. It is only a 3 minute drive to Whitepark Bay and close proximity to many other tourist attractions the North Coast has to offer like The Giants Causeway & Rope Bridge. Eco Friendly 2 bedroom Apartment, Bushmills. Three bedroom cottage in the heart of Bushmills, only a short walk to The Bushmills Distillery and all local restaurants and shops. 3 Bedroom Townhouse within only a short walk to The Giants Causeway. The property is ideally located for exploring the North Coast. A lovely 3 bedroom cottage situated outside Bushmills. It is close to the Giants Causeway and many of the other attractions the North Coast has to offer. 3 Bedroom Cottage only 1 mile from the Giant's Causeway. Ideal location for visiting all the North Coast has to offer. Fully enclosed garden and has a bedroom on the ground floor along with a toilet. 3 Bedroom Cottage in a very central location in Bushmills. The property is located close to the Bushmills Distillery and only a short drive to The Giant's Causeway. Wee Aird occupies a prominent position at the famous Giants Causeway. A much sought after tourist attraction with panoramic views towards Portballantrae, Portrush and the Donegal coastline. Amenities are less than a 5 minute drive to Bushmills town. Eco Friendly Townhouse 2, Bushmills. 3 Bedroom Cottage with stunning views of Dunseverick Castle, ideal location to view all the main attractions the North Coast has to offer. 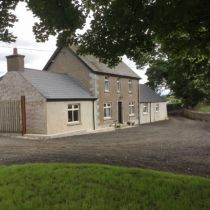 Ballyclough Cottage is a 4 Star Self Catering Farm Cottage located in the picturesque North Antrim countryside, close to the Village of Bushmills. 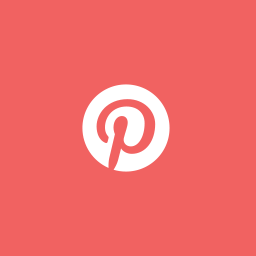 It is ideally situated to the Giant’s Causeway and the sandy beaches of the Causeway Coast.